After watching "Caterpillar Shoes", students have a discussion about different insects and what kind of insect they would like to be. They also share what kind of shoes they would wear as a bug. They then create a sketch of themselves of a bug with shoes! This is a 3D collage lesson. I teach simple techniques such as curling strips by wrapping around a pencil (great for antennae), folding to create legs for the bugs to stand on, and a fan fold (also fun for legs). 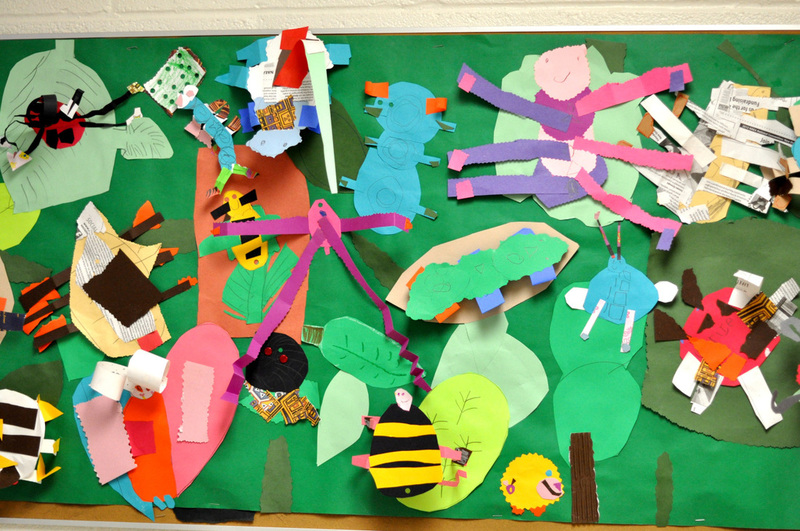 This is a collaborative piece with all the insects going on the class' "forest". When they are done with their bugs, they can make something for the background of the forest that the bugs live in such as leaves, flowers, trees, and grass. 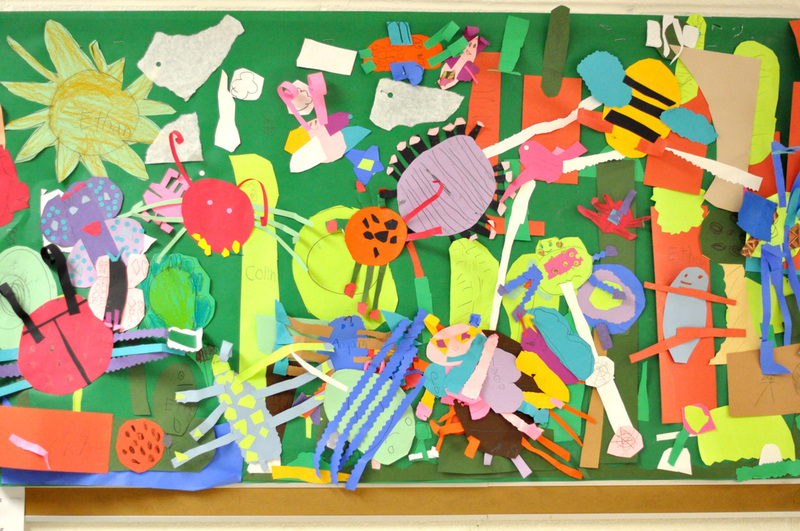 As the students start to finish, I let a few go up at a time to glue their background piece and when everyone is done with the background, they may place their bugs. ​With a collaborative piece like this, it's interesting to see some students take the lead and help the work come together!